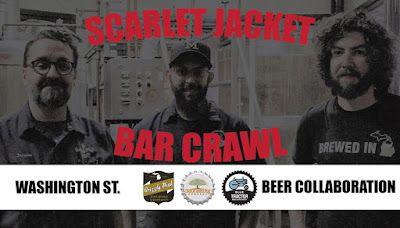 Join the head brewers of Grizzly Peak, Blue Tractor, and Arbor Brewing Brewpub for a brewery crawl celebrating their new collaborative beer, Scarlet Jacket. 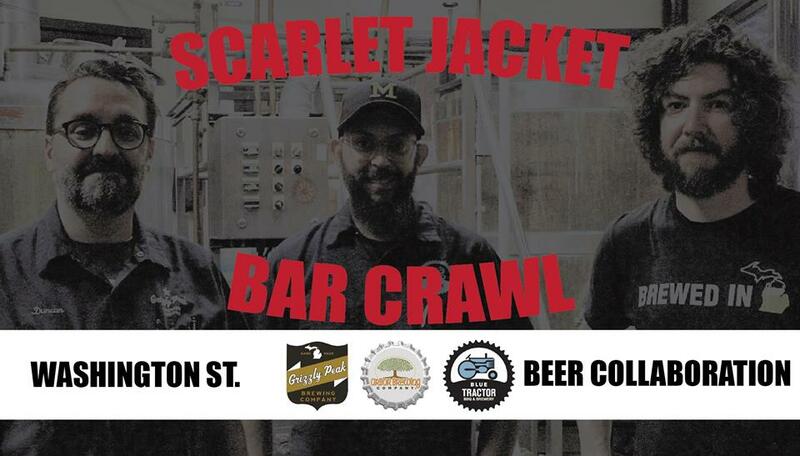 On Tuesday, October 24, join the head brewers of each of these esteemed establishments for a special pub crawl celebrating the release of their collaborative brew, Scarlet Jacket. The beer was inspired by two recipes from postwar England. "Ron Pattinson runs a website where he and British brewer Kristen England re-create old recipes," says Grizzly Peak head brewer Duncan Williams. "We blended two recipes from 1945-46 to create a typical low-gravity beer that was brewed before, during, and after World War II." Each brewery brewed its own version of Scarlet Jacket. The name is an homage to Tetley's, a long-running British beer brand whose historical logo incorporated a redcoat-wearing fox huntsman, according to Blue Tractor head brewer Pat Meehan. The crawl begins in the Grizzly Peak Den bar at 6 p.m., moves to Arbor at 6:45, then finished up at Blue Tractor at 7:30 p.m. Each location will have a cask of the beer on hand, and Williams and Meehan will be joined by Arbor head brewer Chris Davies. Previously, the three brewpubs collaborated on Washingtonacity, a traditional English-style bitter. * Numbers from Michigan Beer Guide.